With the Opioid Epidemic in Transportation Act moving in Congress, laboratories are being pressured to add fentanyl to testing panels. This is just the tip of the iceberg as the opioid epidemic has been putting drug testing laboratories behind the curve and need to improve testing for synthetic drugs. For example, back in mid-August, over a course of two days, more than 95 people in New Haven, Connecticut, overdosed by synthetic cannabinoids, commonly sold as K2, Spice, or potpourri. The biggest issue is that certain synthetic drugs are not showing up on drug tests causing a false hope for drug users and major concerns for emergency departments. 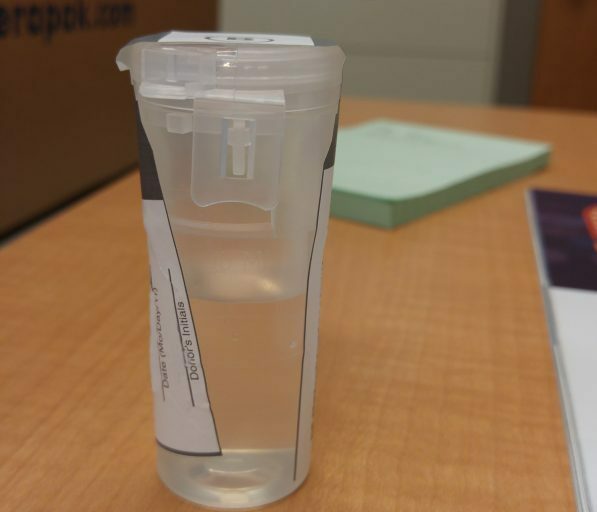 Emergency physicians are not really seeing people trying to avoid a particular drug test, they assume they are taking one drug when it was actually something else. In nearby Baltimore, a new study by the University of Maryland’s Center for Substance Abuse Research (CESAR) published this month articulates many of the problems with identifying and treating synthetic cannabinoid overdoses. Researchers studied urine samples of patients with suspected synthetic cannabinoid in Baltimore and Washington, D.C. They almost immediately hit a snag with their study. If the patients had been using Spice, why wasn’t it showing up in their urine? “When we got the results back, it was just kind of amazing because we expected to find a large percentage testing positive for the synthetic cannabinoids metabolites we were testing for, and what we found was that in the first go around only I think one specimen testing positive for it,” said principal investigator Eric Wish, PhD, a principal study investigator and director of CESAR at the University of Maryland, College Park, College of Behavioral & Social Sciences. Despite testing the urine for 169 different drugs, including 26 metabolites of synthetic cannabinoids, it simply wasn’t there. The issue, say experts, highlights an urgent need for improved testing for so-called new psychoactive substances, including Spice and synthetic cathinones, also known as bath salts. 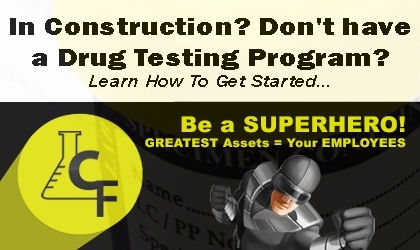 These new drugs don’t show up on standard drug tests, making it difficult to form a clear diagnosis. Currently, fentanyl doesn’t show up on common “dip tests” used in hospitals. Also, designer drugs continually manage to dodge legislation because whenever a certain variety is outlawed based on its chemical structure, a new similar chemical is manufactured and sold legally. NTSB and FMCSA don’t agree on the wisdom or ability to determine the prevalence of synthetics among truck drivers, according to Transport Topics. FMCSA will not expend resources to conduct a research study to determine the prevalence of commercial motor vehicle drivers’ use of synthetic cannabinoids, particularly when there is no sound methodology for conducting such a study. There are 0 comment. on "Laboratories Are Behind the Curve on Testing Synthetic Drugs"
Substance abusers are 5 times more likely to file for worker’s comp.